If this bid for power succeeds, the consequences for Britain will be irreversible. It will privilege special interests over the public good, shut out the voices of opposition and damage the fabric of the nation, perhaps indefinitely. No, I’m not writing about the election. In the next few weeks Unesco, the UN’s cultural organisation, will decide whether or not to grant World Heritage status to the Lake District. Once the decision is made, it is effectively irreversible. Shouldn’t we be proud that this grand scenery, that plays such a prominent role in our perceptions of nationhood, will achieve official global recognition? On the contrary, we should raise our voices against it. 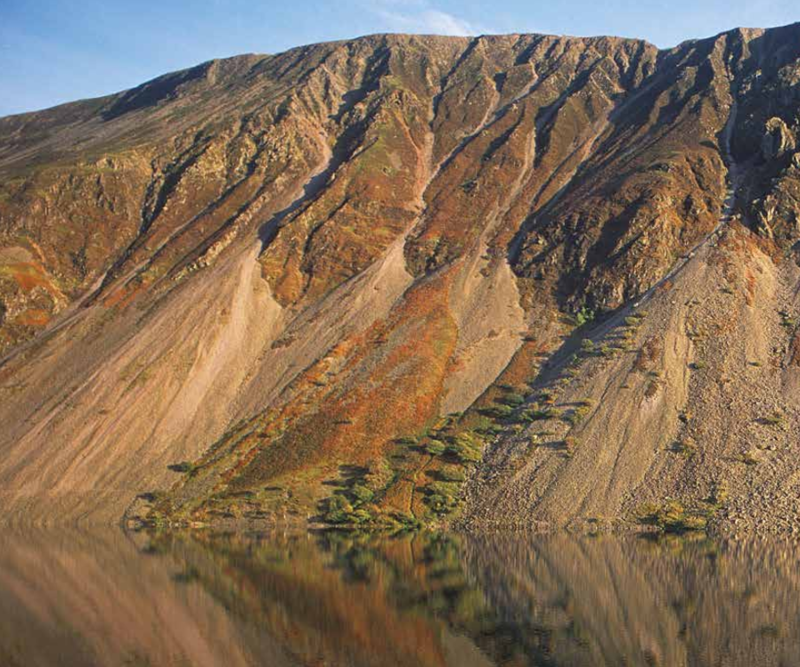 World Heritage status would lock the Lake District into its current, shocking state, ensuring that recovery becomes almost impossible. Stand back from the fells and valleys and try to judge this vista as you would a landscape in any other part of the world. What you will see is the great damage farming has inflicted: wet deserts grazed down to turf and rock; erosion gullies from which piles of stones spill; woods in which no new trees have grown for 80 years, as every seedling has been nibbled out by sheep; dredged and canalised rivers, empty of wildlife and dangerous to the people living downstream; tracts of bare mountainside on which every spring is a silent one. Anyone with ecological knowledge should recoil from this scene. This photo was used as the frontispiece of the “State of Conservation” section of the bid documents. It is meant to show how beautiful the fells are. If we saw it anywhere else, we would recognise it as an environmental disaster. The documents supporting the bid for world heritage status are lavishly illustrated with photos, that inadvertently reveal what has happened to the national park. But this slow-burning disaster goes almost unmentioned in the text. On the contrary, the bid repeatedly claims that the park is in “good physical condition”, and that the relationship between grazing and wildlife is “harmonious”. Only on page 535, buried in a table, is the reality acknowledged: 75% of the sites that are meant to be protected for nature are in “unfavourable condition”. This is another photo from the bid document, showing St John’s Beck in Thirlmere. The beck is notorious for its flashy response to rainfall – rising dangerously fast. It’s not hard to see why. As the photo shows, it has been dredged and canalised on behalf of the farmers in the valley, and now contains almost no natural features that can slow the flow. This great national property has degenerated into a sheepwrecked wasteland. And the national park partnership, that submitted the bid, wants to keep it this way: this is the explicit purpose of its attempt to achieve world heritage status. It wants to preserve the Lake District as a “cultural landscape”. But whose culture? Whose landscape? There are only 1080 remaining farms in the district. Should the entire national park be managed for their benefit? If so, why? The question isn’t raised, let alone answered. I can see the value and beauty of the traditional shepherding culture in the Lake District. I can also see that the farming there, reliant on subsidies, quad bikes and steel barns, now bears little relationship to traditional practice. As the size of landholdings has increased, it looks ever more like ranching and ever less like the old system the bid describes. The bid’s claim that farming there is “wholly authentic in terms of … its traditions, techniques and management systems” is neither intelligible nor true. Remnants of the old shepherding culture tend to be represented ceremonially, as its customs are mostly disconnected from the farm economy. Shepherding is not the only cultural legacy in play. The other is that the Lake District is the birthplace of the modern conservation movement. Inspired by the Picturesque and Romantic movements, much of our environmental ethic and the groups representing it, such as the National Trust, originated here. Attempts to preserve natural beauty in the district began in the mid-18th century, with complaints against the felling of trees around Derwent Water. 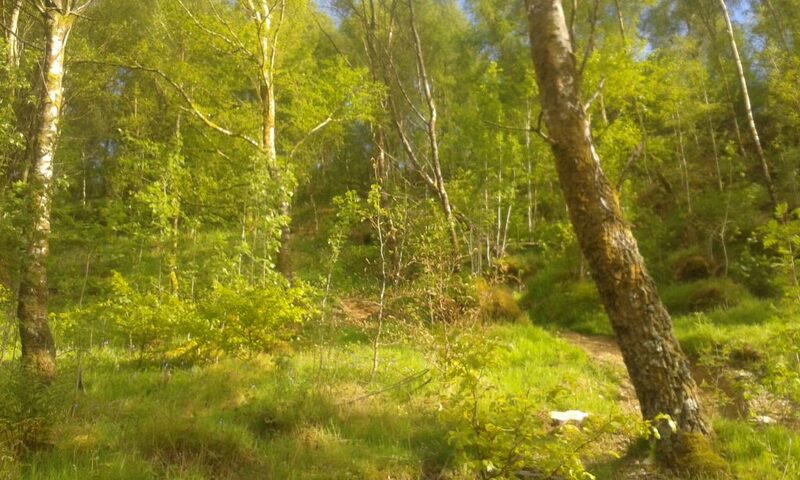 Today, the national park cares so little for this legacy that, as the bid admits, “there are no data available” on the condition of the Lake District’s woodlands. The small group favoured by this bid sees environmental protection as anathema. Farmers’ organisations in the Lake District have fought tooth and nail against conservation measures. They revile the National Trust and the RSPB, whose mild efforts to protect the land from overgrazing are, with the help of a lazy and compliant media, treated like bubonic plague. As one of these farming groups exults, world heritage status “gives us a powerful weapon” that they can wield against those who seek to limit their impacts. If the plan is approved, this world heritage site would be a 230,000-hectare monument to overgrazing and ecological destruction. 30 years ago, this was a bare sheep pasture (with a couple of seeding birch trees). This is a photo I took (with my failing phone) on a hill elsewhere in Britain. It gives an idea of what parts of the Lake District fells could look like if they were allowed to recover. This is not the only sense in which the bid is unsustainable. Nowhere in its 700 pages is Brexit mentioned. It was obviously written before the referendum, and has not been updated. Yet the entire vision relies, as the bid admits, on the economic viability of the farming system, which depends in turn on subsidies from the European Union. Without these payments, there would be no sheep farming in the Lake District: it operates at a major loss. European subsidies counteract this loss, delivering an average net farm income of £9,600. Unsurprisingly, people are leaving the industry in droves: the number of farms in the national park is declining by 2% a year. And this is before the payments cease. What is the national park partnership, that prepared this bid, going to do – march people onto the fells at gunpoint and demand they continue farming? Or does it hope that the government, amid the massacre of public investment that will follow Brexit, will not only match but exceed the £3bn of public money currently being passed to UK farmers by the European Union? Your guess is as good as mine. This omission alone should disqualify the bid. The failure to mention this fatal issue looks to me like one of many attempts to pull the Herdwick wool over Unesco’s eyes. The entire bid is based on a fairy tale, a pretence that the rural economy of the Lake District hasn’t changed for 200 years. If Unesco grants world heritage status on these grounds, it will inflict irreparable harm on both our natural heritage and its own good standing. The hills, whose clothes so many profess to admire, are naked. The narrative we are being asked to support is false. The attempt to ensure that the ecological disaster zone we call the Lake District National Park can never recover from its sheepwrecking is one long exercise in woolly thinking.